Comes complete with a 16 inch long Black Rubber cord. Hangs from two gold-colored metal jump rings. 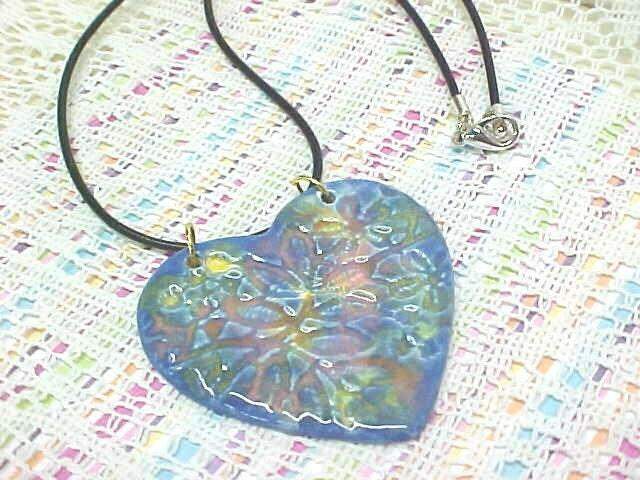 & glazed with colorful Blues, Pink, & Yellow glazes in a One of a Kind pendant necklace.